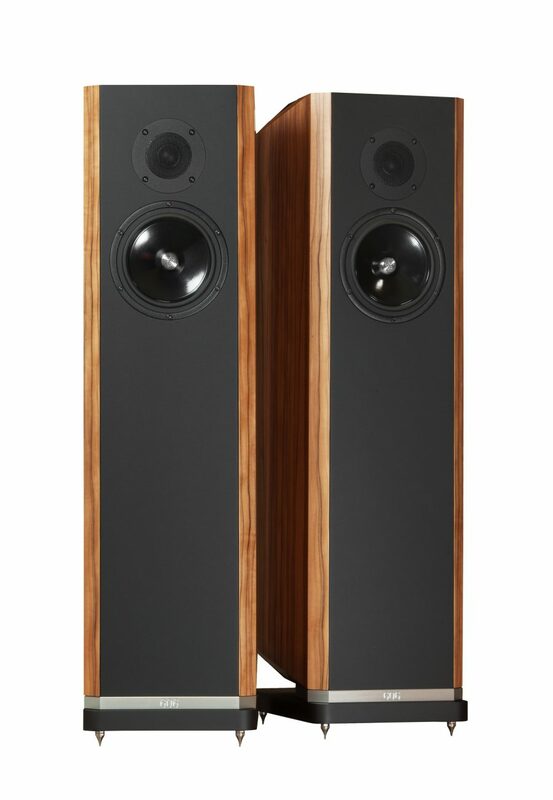 We have a new ‘baby’ Titan in the family at Adventures – Kudos Audio Titan 606, a smaller, single box version of the flagship Titan 808 loudspeaker. More affordable too, at £9000 compared to the 808’s £21,250 price-tag. The 606s feature the Titan family world class drive units and superb K3 tweeter, crafted exclusively for Kudos by renowned Norwegian specialists SEAS. Based on SEAS legendary 29mm Crescendo K2 fabric dome tweeter, the K3 has undergone significant further development to precisely tailor its capabilities for the Kudos Titan design. Enhanced features include an improved magnet system with copper shorting rings, a completely new resonance chamber and a new face plate profile, all engineered to deliver and even sharper, more dynamic and musically detailed performance. The design of the Titan 606’s twin mid-bass drivers is developed from that found in Kudos’s Super 20A. It features high quality hard paper cones that are double coated to ensure superior stiffness while at the same time preserving the natural damping properties of paper. The two drivers are positioned in an isobaric arrangement: the second driver is placed internally back-to-back with the first, enabling a significantly improved bass response while minimising bass distortion. Pop in or email for a listen.